Posted on Sunday, July 31st, 2011 at 9:52pm. Vancouver and the Fraser Valley are expected to trend toward a 'sellers to balanced' market over the next 18 months while the rest of the province will experience a 'buyers to balanced' market. Vancouver home prices are still on the rise despite a slowdown in the first time buyer market. Single family home sales remain the strong, keeping supply in check. 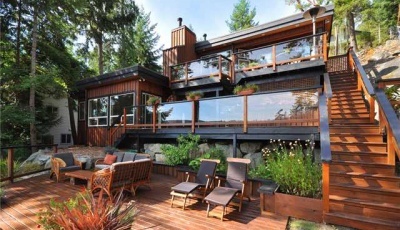 Already, there are a handful of Vancouver real estate market predictions for 2012. The BC Real estate Association anticipates the provincial average price to increase by a total of 13% for 2011 and a decrease by 2.5% in 2012. Considering the continued demand and limited supply in our beautiful city, things continue to look optimistic. We will explore TD and RBC's housing forecasts in our next post. We can't wait to disect these reports in conjuction with REBGV's July market stats! Well priced detached homes in Vancouver and on the North Shore continue to sell quickly and in multiple offers. However, in the summer months with fewer buyer in town to compete, this seems to be less frequent. On average, home sales in the Greater Vancouver area are down, with the exception of the condo market, but benchmark pricing has increased across the board. Over the past 12 months the benchmark price for all residential properties (detached, attached and condos) in Greater Vancouver increased by 8.7% from $580,237 to $630,921. It is important to remember that there are significant differences in home-price trends depending on your area and community. North Vancouver and West Vancouver home sales are no exception. Market activity varies from one subdivision to the next, especially in those desirable communities with not a lot of inventory. We are still seeing multiple offers locally but mainly for detached homes. While attached and apartment condo prices and inventory remain relatively unchanged, detached values continue to be of particular note in West Vancouver. West Van’s benchmark price in June 2011 was $1,793,524, up from $1,713,305 in May. There are fewer sales over last month but there are also fewer listings, tipping the scales in the sellers' favour. While North Vancouver’s detached and attached benchmark price decreased marginally over last month, while the condo benchmark increased slightly. There were more sales and fewer listings, of particular note there were 110 condo sales compared to 69 in the previous month. All things considered, our North Shore real estate market remains a healthy one. Stats are provided by the Real Estate Board of Greater Vancouver.